As the ‘mainstream media’ besieged President Donald Trump’s touchdown in Riyadh on his first international trip where he was expected to receive a lavish and unprecedented reception by Saudi officials to attend a busy two day summit with Saudis, GCC leaders and heads of states from the Islamic world (minus Iran), we all know what the rewards for America will be after 8 years of a lean and mean relationship with President Obama. President Trump is expected to come back loaded with financial and business opportunities not before seen in the history of US-Saudi relations from a promise of $40 billion in infrastructure projects in the US (badly needed) to the more than $100 billion of arms deal expected to increase over the next 10 years to $300 billion. This is in addition to unwavering support for the Kingdom of Saudi Arabia and its ongoing geopolitical if not ideological conflicts with its neighboring Islamic Republic of Iran where the two antagonists are locked in the deadly fight in Syria and Yemen. For a long time, the Saudi-American “main address” was economic and commercial relations especially in oil and infrastructure projects, where the Saudis and Americans entered into a long-term agreement investing their oil revenue surplus in US treasury bonds and the US under the J-Corps program dispatched thousands of engineers and planners to help with and lead the Saudi boom in its infrastructure projects from roads to power and desalination plants, airports, hospitals, universities contributing to the modernization of the Saudi physical infrastructure. All that changed with the Soviet invasion of Afghanistan and Saddam Hussein’s war against the newly established Islamic Republic of Iran. We all know the billions invested by both the US and Saudis in support of the Mujahideen and the active recruitment of “Arab and Muslim Mujahideen” dispatched to neighboring Pakistan for training and orientations and then on to Afghanistan to fight the Soviets. Among the most notable, perhaps infamous of the recruits were the likes of Osama Bin Laden, Ayman al-Zawahiri, Sheik Abdullah Azzam, and Sheik Omar Abdel-Rahman. With the routing of the invading Soviet Union many of these “actively recruited Arab Mujahideen” returned to their countries where the governments facilitated their recruitment in the first place and became a Fifth Column organizing and engaging in terrorist activities mainly in Egypt, Jordan, Algeria and Saudi Arabia after the Gulf War. The support of the Mujahideen did not end well as Afghanistan broke down and fell into factional fighting between the different warlords culminating in the takeover of Afghanistan by the Taliban with the active support of Pakistan’s then Prime Minister Bhutto, subsequently leading to the 9/11 attack on the US and the birth of Al Qaeda as an active and deadly terrorist organization against the US, certainly against the Saudis. On the ‘Western Front’ and with the active support of the US, Britain, Germany, France, Chile (cluster bombs) and the Arab Gulf States, Saddam Hussein, feeling reinvigorated with the downfall of the Shah, decided to invade Iran and wage his 8 year war against Iran billed as Arab Nationalists and Sunni war. Saddam, unable to win any ground in 8 years, sued for peace with Iran and after wasting over $50 billion in cash reserves and accumulating over $150 billion in debt, demanded “reparations” from his Arab allies who funded his war. When that was refused he decided to invade Kuwait resulting in the arrival and since then the continued presence of a large number of US troops and bases, one of the largest presences outside of the US. However, the Gulf War did not end there. The US with the support of the UN imposed economic sanctions against Saddam Hussein and created a “safe zone” for the Kurds in North Iraq, which became a de-facto partition of Iraq. The US under the “evil spell” of Zionist Neocons deemed the Gulf War was not over until Saddam was out and Iraq occupied and destroyed. Many of the Arab Gulf states contributed actively to the invasion of Iraq and subsequently the reckless and stupid management of Iraq by Paul Bremer giving Iran the opportunity to take the driving seat in Iraq, hence the rise of the Sunni Daesh/ISIS. In the same way the Soviet invasion gave us the Taliban and Al Qaeda, the Iraqi invasion giving us Daesh/ISIS. The Iraq-Iran war created an everlasting enmity between Iran and its neighbors in the Gulf. If we are to add the direct and indirect costs of Saddam’s wars the Gulf countries wasted over $2 trillion on wars and conflicts so far, a precious fund that could have built the entire Arab and Muslim world three times over. Well, let us hope President Trump and his meetings with Saudi officials changes all that and shifts the America-Saudi-Muslim partnership away from wars and conflicts to peace, reconciliation and development. More than ever, the people of the Arab Middle East, even North Africa, can not afford more wars and conflicts. The destruction of Syria, Yemen, and Libya are more than what people can afford. The aborting of the Arab Spring, which began as a civil rights and civil protest against entrenched dictatorship withered away to chaos, conflict and civil wars. 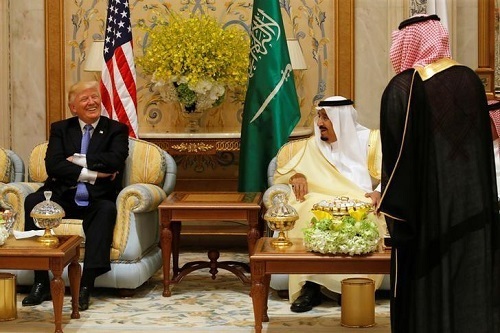 I think it will create a great deal of goodwill for President Trump and the Saudi leadership if the result of this historic trip gives people a glimpse of hope in the future, a future of peace, commitments to political and social reform which are equally important to the needs for basic “theological” reform shifting the “narratives” from “countering violent extremism” using only military means to transforming societies and culture to one of peace and reconciliation. I don’t think this is too much to ask from both the Saudi leaders and President Trump. It will do all parties lots of good. It will be interesting to see how this trip for a President, whose rhetoric was shaped by some of the most vehemently anti-Muslim advisors, will shape and reform President Trump and his inner critical of “Islamophobists” from an antagonistic attitude toward Muslims to one of a promising partnership. Mr. Trump’s administration can prove this through maintaining and supporting such “signature” programs as AMIDEAST, Peace Corps and yes, I do hope the administration also gives the Arab Peace Corps-Salam Nation, the Islamic Peace Institute a jump-start. 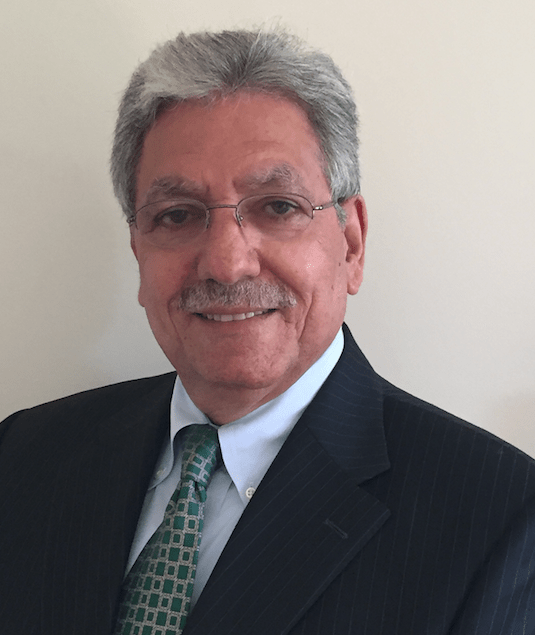 Sami Jamil Jadallah, is a Palestinian-America, a Veteran of the US Army (66-66) he holds a BA (72), MPA/School of Public and Environmental Affairs and Doctor of Jurisprudence (77) from Indiana University. With over 35 years of international legal and business experience with wide range of responsibilities from legal associate as on the major Wall Street law firm, to general counsel for one the largest civil and electro-mechanical construction company in Saudi Arabia, to director of a defense and marketing company in Switzerland to owner representative of major hotel project in Tangier to managing director of a major airline agency in Morocco and founder, trustee and managing director of a major conservation foundation in Morocco. Sami also has experience with technology holder of two US patents for the use of smart card technology for tracking operation and maintenance of machine and founder of a start up company and continue to consult for international organizations and clients. Sami is engaged on Pro-Bono work for the New Arab Foundation and its initiative the Arab Peace Corps and the Veterans Housing & Education Foundation, both are not for profit, tax-exempt organization. He lives in Fairfax, VA. Previous post Mrs May's Manifesto: Clever or Too Clever? Good article, containing the necessary, relevant and important historical background. I am referring to the US policy of covertly - and sometimes overtly - supported Islamic fundamentalist groups throughout the 1980s to wage anti-Communist insurgency in Afghanistan. This was the culmination of the longstanding practice of the US to support religiously-based movements in the Arabic-speaking and Muslim-majority nations against the secular, socialist parties and regimes. Just one observation - Trump's alliance with Saudi Arabia is nothing new for the United States. The latter has supported the Saudi petro-monarchy since the end of First World War. Britain was the traditional ally of Wahhabi fundamentalism in the Arab world, but its role as Empire-builder was displaced by the United States. Trump's latest weapons deal with the Saudi despotism will enable the latter to continue its criminal war in Yemen.